The Royal Tenenbaums present an art deco tribute to René Lacoste. This season Lacoste worked on clean lines and asymmetric cuts to create a cult take on the tennis player look – think red tracksuits paired with deconstructed coats, worn as capes. 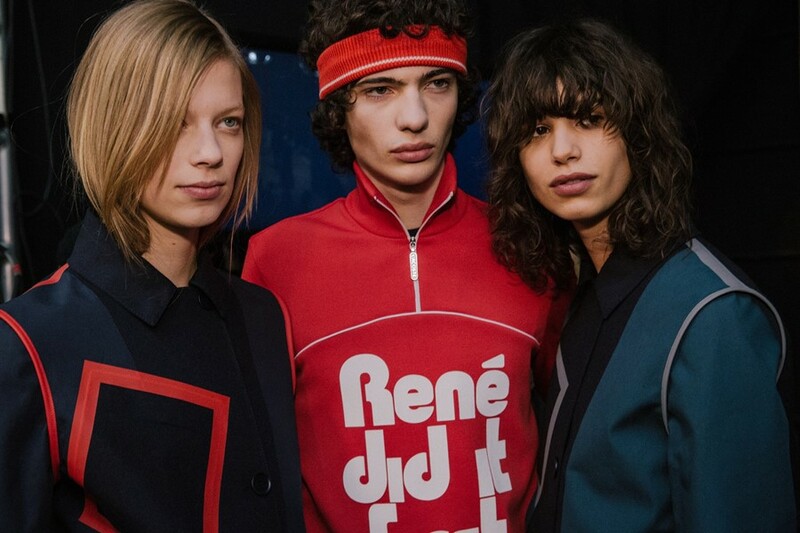 With garments emblazoned with ‘René did it first’ in a very 70s font, it was a playful celebration of the brand’s heritage that was far from stuck in the past. Lacoste’s fresh faced team was star-studded, featuring some of this season’s favourites in their best sports gear: Dazed 100 model Gryphon O’Shea was joined on the runway by the likes of Lexi Boling, Mica Arganaraz and Hedvig Palm.